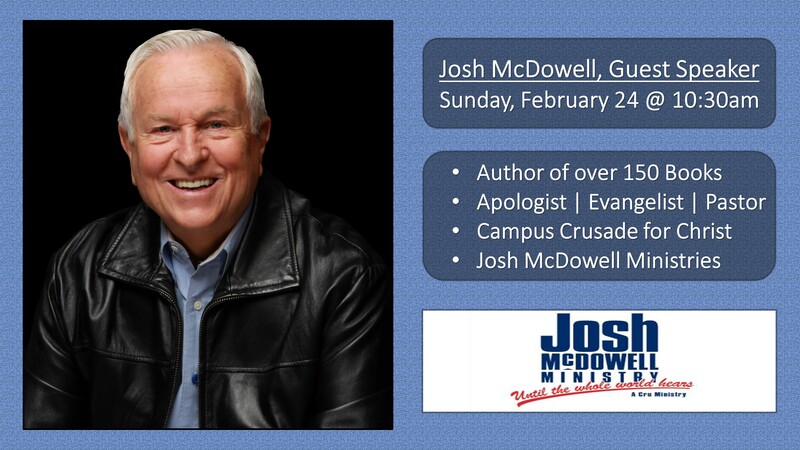 Josh McDowell has been a strong leader for the cause of Jesus Christ for several decades! In 1961, Josh joined the staff of Campus Crusade for Christ International. Not long after, he started the Josh McDowell Ministry to reach young people worldwide with the truth and love of Jesus. Well known as an articulate speaker, Josh has addressed more than 25 million people, giving over 27,000 talks in 125 countries. He will speak on relating and passing on our faith to the next generation.